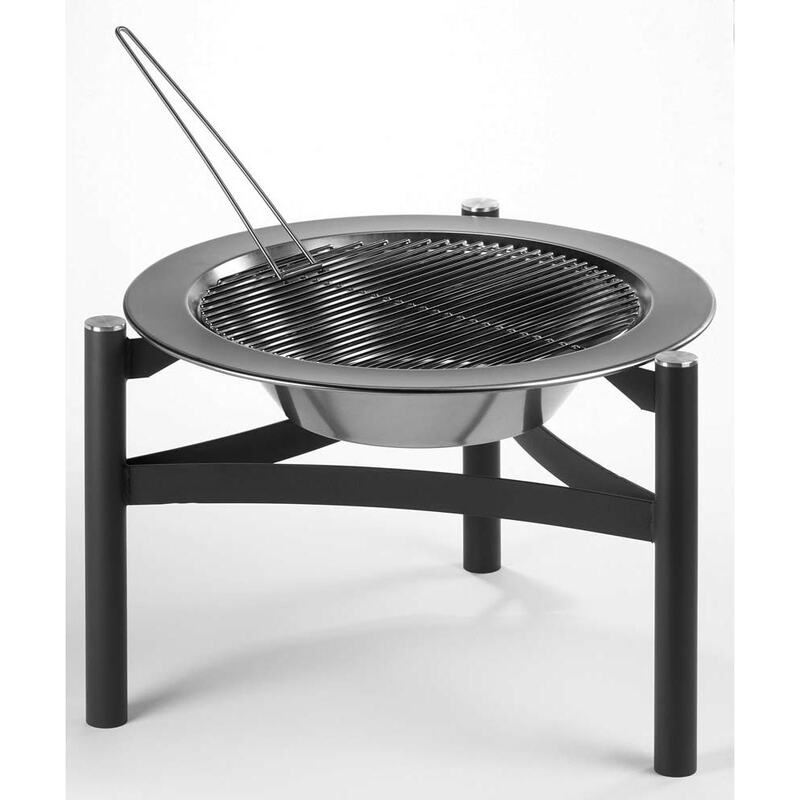 Buy Dancook 9000 charcoal barbecue fire pit: A beautifully designed all-rounder, which is a very stylish way to heat your patio on cooler evenings. 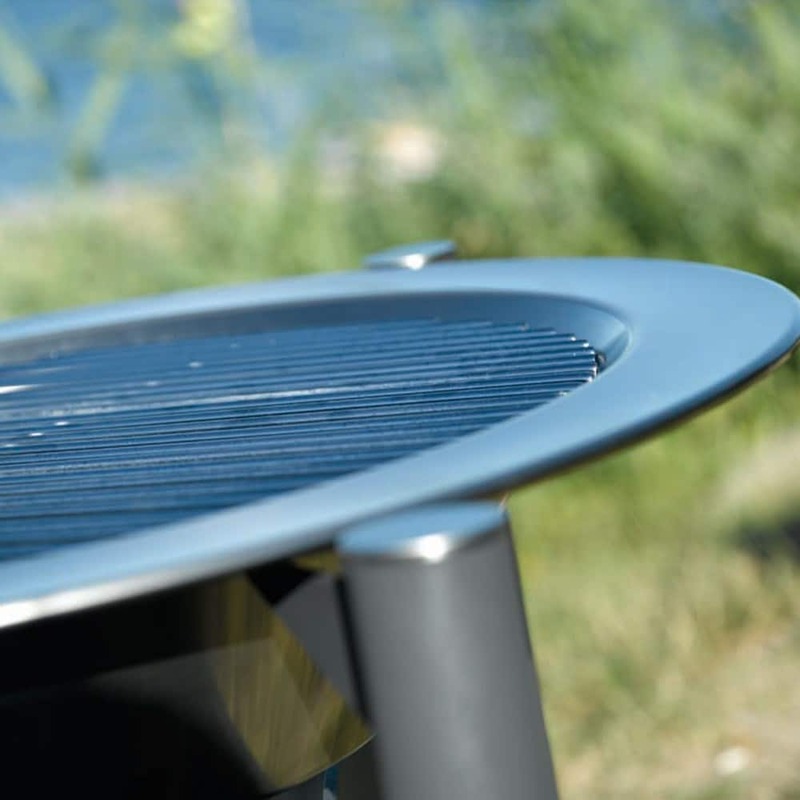 It is a safer option when using around children, as the edges of the brazier don't heat up, which also means it easy to move about.<br><br>Made from rust-proof stainless steel with an aluminium frame, it also comes with a heavy duty steel grill, which instantly turns it into a good sized barbecue. A high-quality bit of kit, which is built to last, it can burn either charcoal or wood for fuel.<br><br>Measurements:<br>Ø71.5cm x H50cm <br><br><b>Warning:</b><br>For outdoor use only. Keep children and pets away from the brazier when lit. Always position away from buildings on a safe non-flammable surface. If using on a paved patio, place on an additional protective paving stone made from solid natural stone or concrete at least 5cm thick. This will avoid possible discolouration and cracking of your patio, as some mock slabs made from resin or ceramic may be susceptible to heat damage. Only for use with logs or charcoal. A beautifully designed all-rounder, which is a very stylish way to heat your patio on cooler evenings. It is a safer option when using around children, as the edges of the brazier don't heat up, which also means it easy to move about. Made from rust-proof stainless steel with an aluminium frame, it also comes with a heavy duty steel grill, which instantly turns it into a good sized barbecue. A high-quality bit of kit, which is built to last, it can burn either charcoal or wood for fuel. For outdoor use only. Keep children and pets away from the brazier when lit. Always position away from buildings on a safe non-flammable surface. If using on a paved patio, place on an additional protective paving stone made from solid natural stone or concrete at least 5cm thick. This will avoid possible discolouration and cracking of your patio, as some mock slabs made from resin or ceramic may be susceptible to heat damage. Only for use with logs or charcoal.